Download and launch the software. Go to Start >> Program >> Intrigua Merge PST. 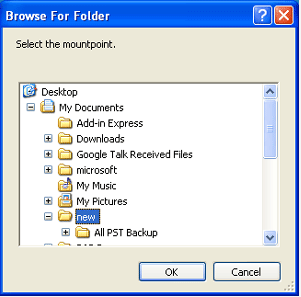 Click on the software and you will see the following window. 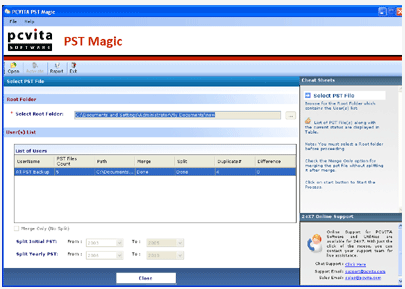 Click on the Browse button to select the desired PST files, Here you can select the root folder which contain multiple PST file and the software will automatically fetch the PST files from specified root folder. 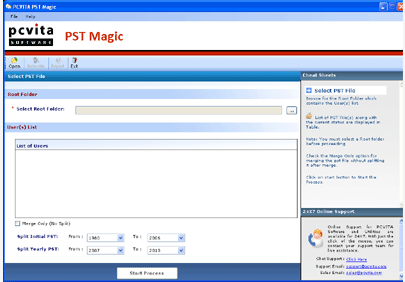 Split Initial PST- specify the year range in order to create a single PST containing data from multiple source PST in the selected year slab. 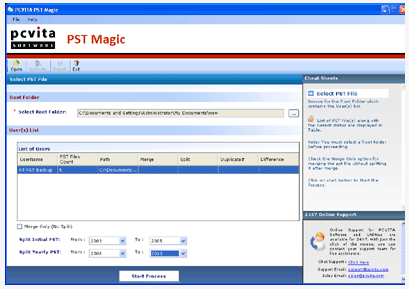 Split Yearly PST-Using this Option software will generate PST files for each year according to the specified year range. After selecting the appropriate option. Click start to begin merging or splitting process. You can see the status of current process as "Done" after completion. 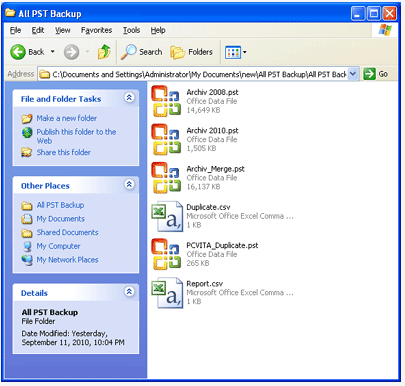 Navigate to the root folder from where you selected PST files, you will see the resulting merged or split files along with the complete summary report in CSV format.